Keith F. Ellison has been trying cases in the Central Wisconsin area for over 33 years. He has tried hundreds of jury trials during his practice in both civil and criminal courts. Mr. Ellison began his litigation experience as an Assistant District Attorney in Wood County and then was elected District Attorney for Wood County. During that time he was responsible for all types of criminal prosecution from white-collar crime to murder. Following his work as District Attorney, he was employed by American Family Insurance where he worked as in house trial counsel. There he obtained the unique perspective of both seeing the files before they were sent to outside counsel as well as cases in which he would be the assigned counsel to defend the action. He also worked on the American Family fraud and arson investigation unit for two-thirds of Wisconsin. He was a member of the National Association of Insurance Fraud Investigation involved in a number of property claims. 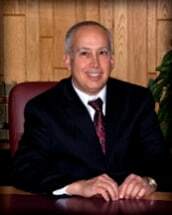 Mr. Ellison subsequently joined the law firm of Ellison & David, LLP where he has practiced since 1987. His main focus during this time has been insurance defense, but has engaged in many types of litigation including business, worker's compensation and administrative hearings. He also does a substantial amount of subrogation work for his insurance clients. He has been before the Supreme Court of Wisconsin during the course of his work. He has also tried family law cases, which include divorce actions as well as post divorce matters. Mr. Ellison enjoys working with clients and recognizing the individual needs and concerns of each. It is that attention to each case that makes his practice beneficial for his clients and rewarding to him personally.